Al Haymon is arguably the most powerful man in boxing, and he frequently raises the ire of his competitors though he never says a word publicly. One of the shrewdest managers in the sport, Haymon is as elusive as Big Foot. His most prominent client, pound-for-pound champ Floyd Mayweather, playfully refers to Haymon as "The Ghost." Whenever big news breaks in boxing, Haymon is almost always involved, either directly or indirectly. In just the last couple of weeks, his stable of boxers expanded to include Adonis Stevenson, Chad Dawson, Luis Collazo, brothers Lamont and Anthony Peterson, Robert Guerrero and Rances Barthelemy. When Stevenson spurned an offer from HBO to sign with Showtime, Kathy Duva of Main Events immediately pointed the finger at Haymon. Duva promotes Sergey Kovalev and was hopeful that a mega-fight between Kovalev and Stevenson could have been made this year. 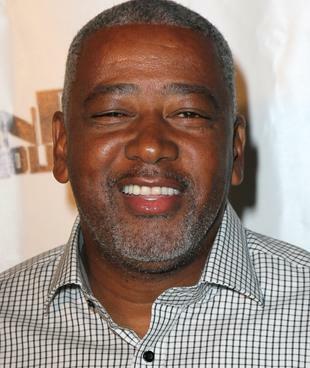 "As soon as Al Haymon signed Stevenson, I knew there was trouble," Duva said. "Al Haymon is the impediment to more big fights than anybody I know." Top Rank's Bob Arum defended Duva's position in the Kovalev-Stevenson-HBO-Showtime situation and put Haymon on blast. 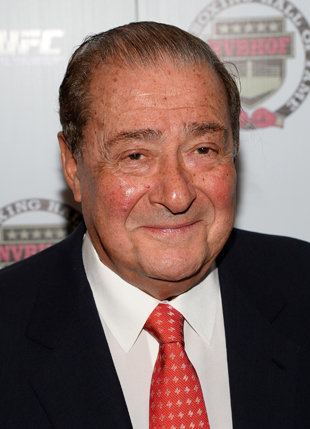 Without being specific, Arum said "what Haymon has done to boxing is reprehensible." Arum and Schaefer have a poor relationship and frequently trade barbs. Arum praised Duva for her courage and said, "She certainly has more [courage] than [expletive] Schaefer, who has been [castrated] completely by Haymon." Schaefer later vigorously defended Haymon during an interview with Yahoo Sports. He said promoters who rip Haymon and Golden Boy are simply jealous of the success they're having. "Al Haymon is a very good friend of mine and I love working with him," Schaefer said. "He is doing a great job with his fighters and in boxing in general, and if you were a father and your son was boxing, who would you want to manage your kid? I'll tell you what, if it were me, I'd want Al to manage my son. You hear the fighters being interviewed on TV right after the fight. What do they say? I want to thank God and I want to thank Al Haymon, and it's not always in that order. "All of these people are jealous that I have a great relationship with Al, and with Floyd Mayweather, for that matter. Al is one of the best people I know and he has done a great job for his clients." Schaefer pointed out that only weeks after signing with Haymon, Stevenson earned a much larger purse to fight Andrzej Fonfara on Showtime than he would have gotten at HBO. An HBO source told Yahoo Sports that the increase was 40 percent. Schaefer said it's a manager's job to maximize a boxer's revenue. "And that is why every boxer in the world wants to have Al Haymon manage them," Schaefer said. Schaefer's growing number of critics have said he has been promoting fighters signed to Haymon managerial contracts but not necessarily to Golden Boy promotional contracts. That, the reasoning goes, is because Schaefer and Golden Boy president Oscar De La Hoya are at odds and it would give him fighters to promote should he split with De La Hoya. Schaefer, who conceded friction with De La Hoya that they're attempting to work out, admitted to Yahoo Sports that many of the fighters he promotes aren't under contract with Golden Boy but are only contracted with Haymon. "I'm not going to disclose which fighters are under contract with us and which ones aren't, because you can imagine why, but some of them are and some of them are not," Schaefer said. Duva mocked Haymon for not speaking to the media. Haymon is friendly to reporters he knows in person, but does little more than shake hands and say hello. He doesn't do interviews. He doesn't have e-mail. He is camera shy and rarely has his photo taken. Haymon is often mistaken for Sam Watson, who works for him and is his best friend. Watson is often seen in the ring before and after fights with his sons, Brandon and Marcus, standing behind Haymon fighters. Schaefer defended Haymon's seemingly secretive methods and said it is not that unusual. "I've seen many successful guys like that," Schaefer said. "You look at someone like Jerry Perenchio, for example, a former music guy, as well. ... He never does TV and he doesn't do interviews. I'm talking about people who are related to boxing, and I'm sure there are others, but look at [gaming entrepreneur] Kirk Kerkorian. He never gives interview and doesn't like to have his picture taken. Many successful people are like that and don't like to see themselves in the spotlight. "I talked to Al about it sometimes, because his story is a good one. He is actually empowering the fighters. I don't know how many fighters he has, 60, 70 fighters, whatever it is, but he doesn't have a single one saying anything bad about him. It tells you something about the man. He's doing things right." Schaefer said Haymon's critics are just upset he doesn't work with them. He said Haymon is honorable and has done yeoman's work on behalf of his fighters. "Al is my friend and I'm proud he's my friend," Schaefer said. "The jealousy you see among the other promoters and managers is sad, it really is."